New site! | What's for lunch? I stopped blogging here a while back but I’ve been busy talking, writing, tweeting and tumbling (is that word?) about kids and food. I also have a new book coming out in early 2016 called Eat this! 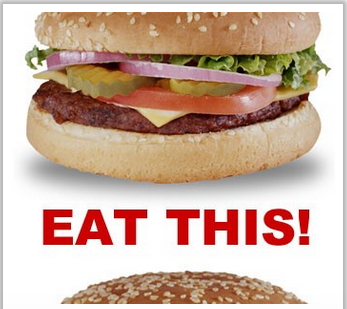 all about fast food marketing aimed at kids. Feel free to explore the blog archives for information about school lunch. Or, better yet, visit me at my new kids site or follow me on Twitter. Comments Off on New site!